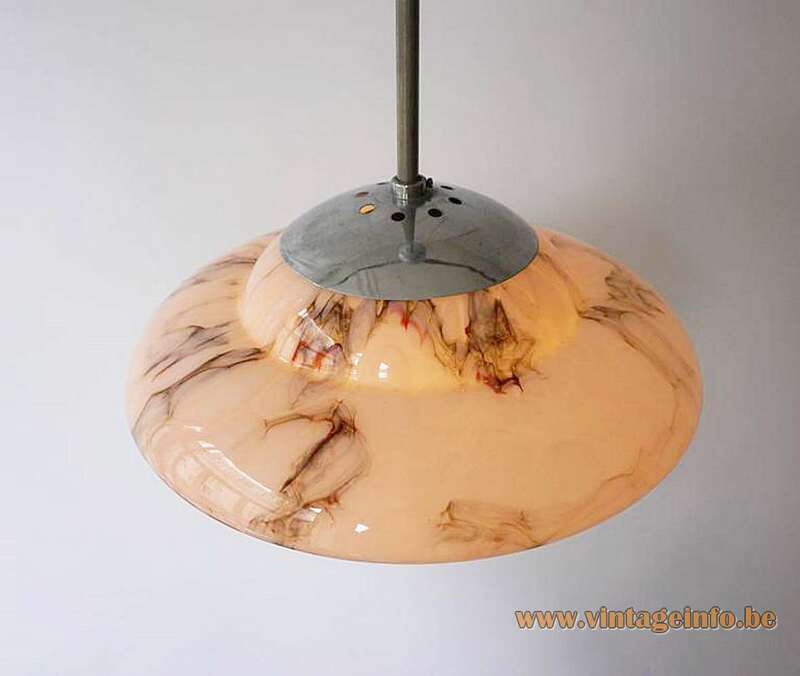 Materials: Salmon coloured marbled/veined crystal glass. Chromed metal (iron). Brass and porcelain socket. 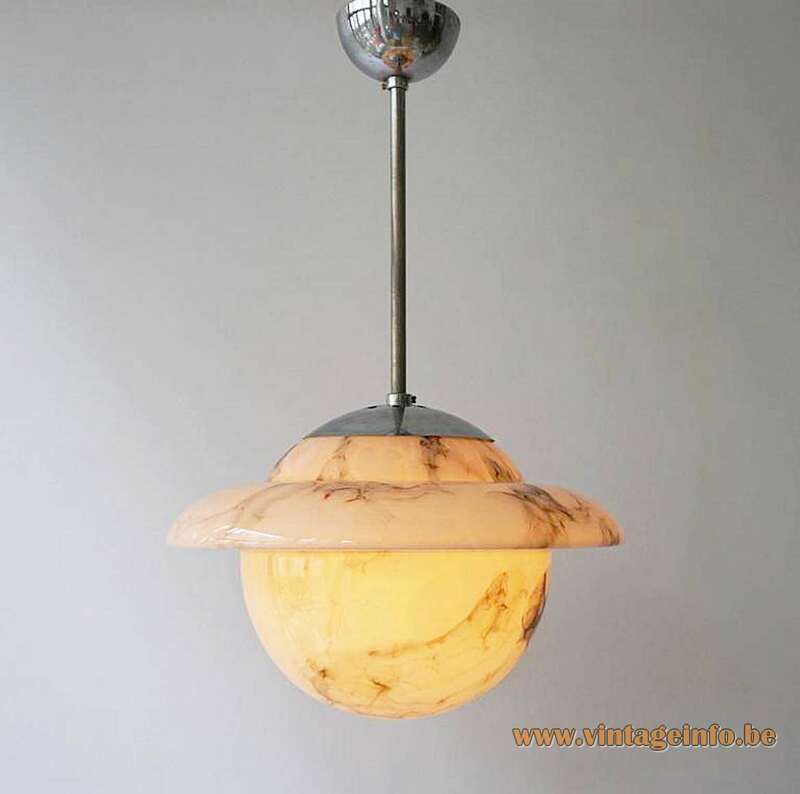 Period: 1920s, 1940s – Art Deco, Bauhaus. 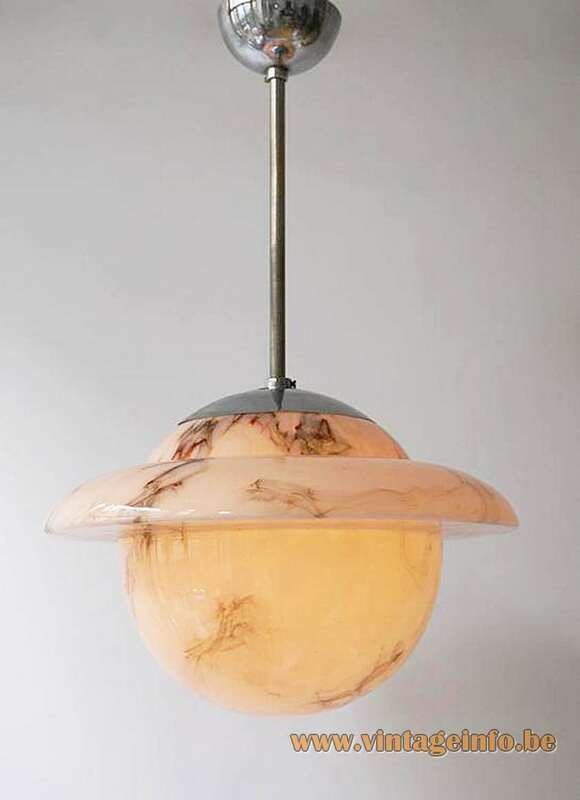 Other versions: The glass was made in some variations and it was also used for table lamps and wall lamps. 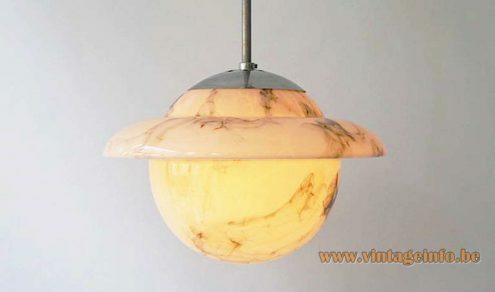 Lamps in this “Saturn” style were produced by many companies around the globe. They became popular in the 1920s, 1930s. Saturn lamps were made for many years and some companies produce them today. 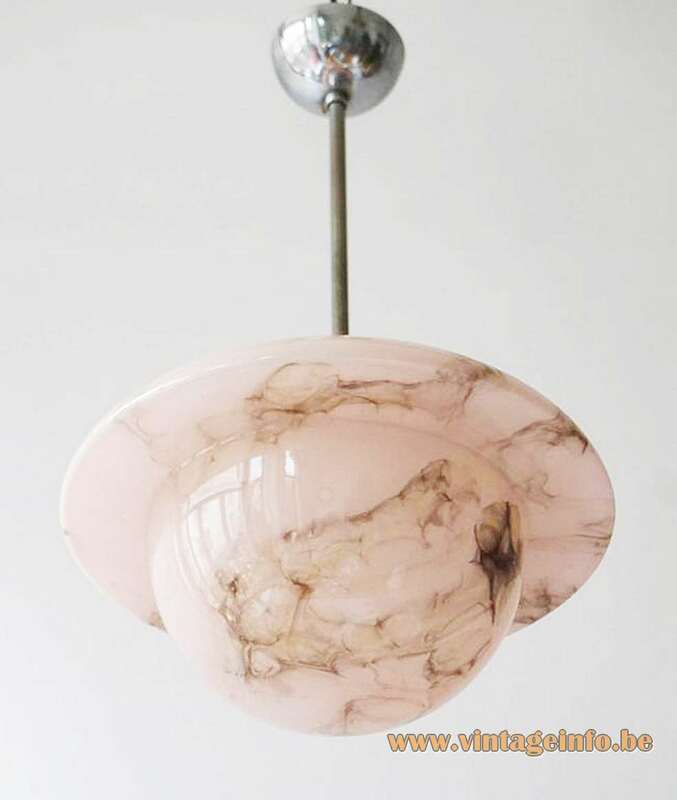 The pink salmon marbled glass was very sought after at that period. This typical glass remained popular after World War II until the 1950s. 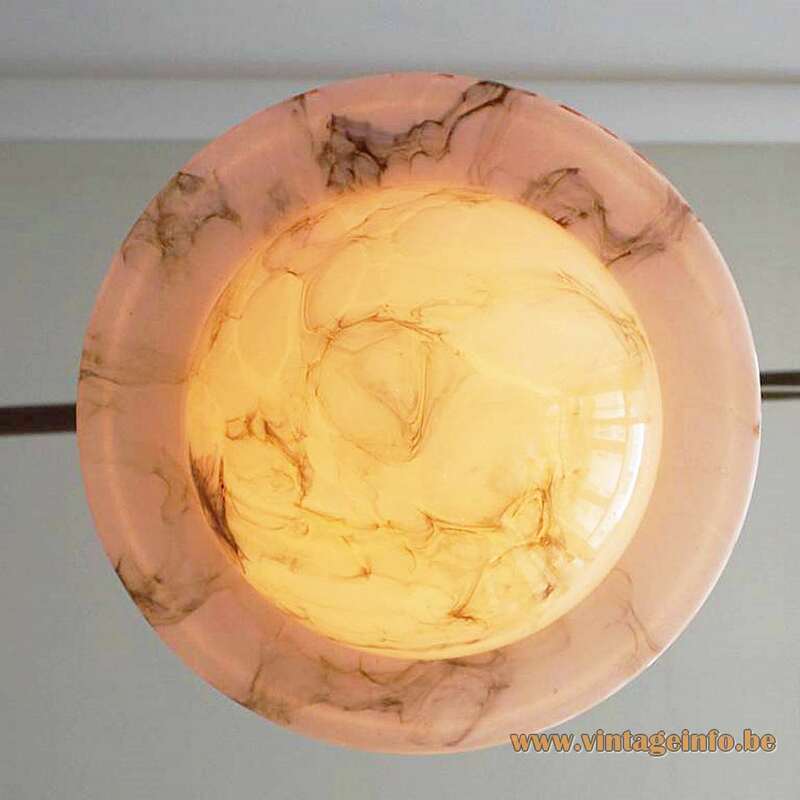 There is no label present on most lamps from that period, unfortunately. It was not mandatory to mention brands and wattage’s at that time, so most manufacturers did not.